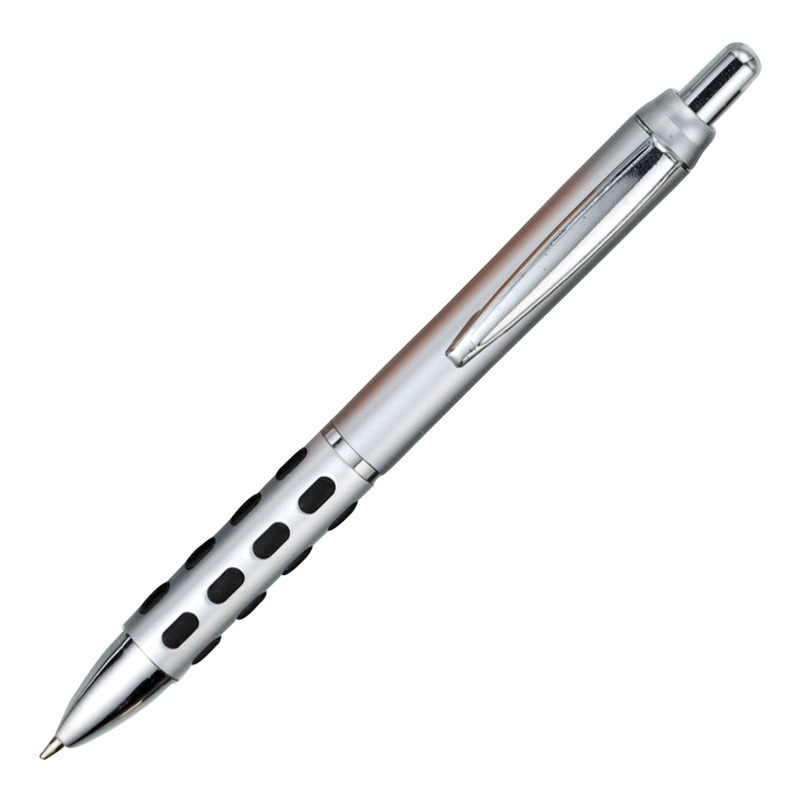 Retractable Mechanism. 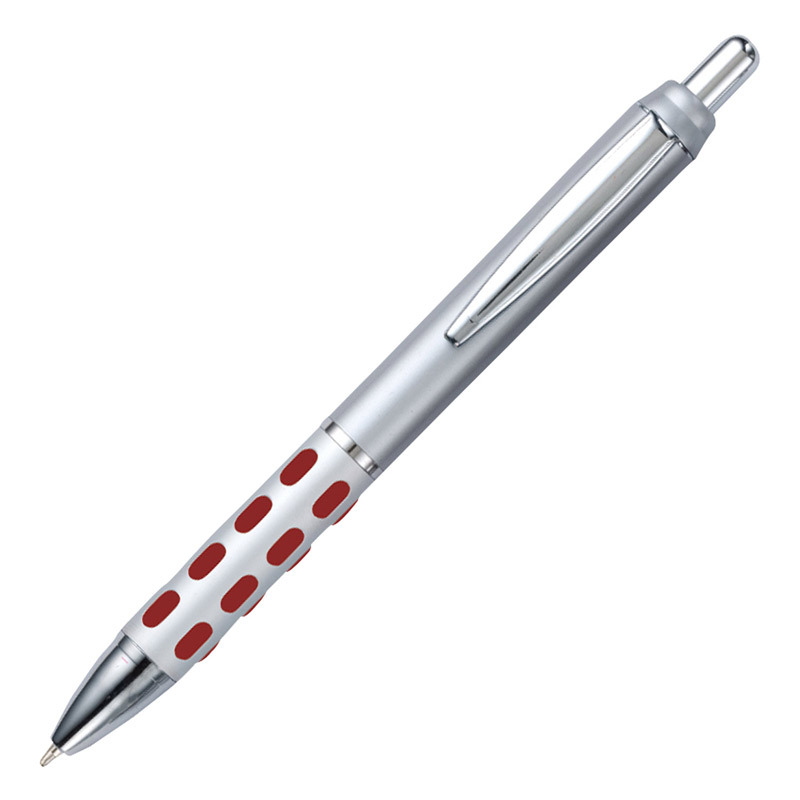 Silver barrel with spotted rubber grip in color that brings out your advertising message. This pen offers great value with a touch of class.